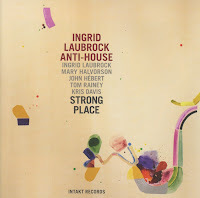 An incredible second session from Ingrid Laubrock's Anti House. With Strong Place, the ensemble has delivered a solid effort that surpasses the already superb debut. There's always talk (especially from me) about exploring and finding the melodic path within the free flowing improvised patterns on many projects. That's no different on Strong Place. But the while the origins may be hard to find at first, a quiet listening session later unearths them slowly and uniquely. Laubrock's horn wraps the quintet in a beautiful tornado of sound on both "An Unfolding" and "Der Deichgraf." With Davis and Halvorson pulling closely side to side on both pieces with a humorous and lovely effect. Rainey and Laubrock also share some nice staccato passages before lending way for a gentle conversation with Halvorson's harmonic delivery. Scattered patterns fill two-thirds of "From Farm Girl To Fabulous, Vol. 1." This set by Halvorson, Davis and Laubrock; before Rainey and Hebert slowly move in providing additional bit and a chance for the melody to evolve thanks to the bands leader. When looking for that one song with melody, you just might find it at the end. "Here's To Love" delivers on that idea with a great balance of soft passion and experimentalism. 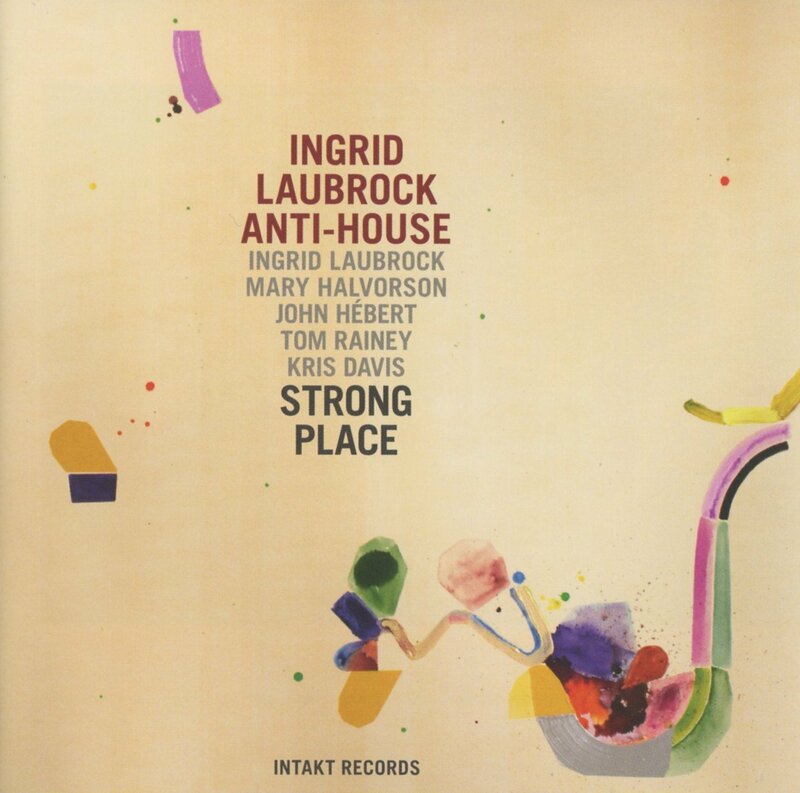 A crisp texture from Laubrock is accompanied by Rainey and Hebert allowing the quintet to express emotions in a somewhat well structure fashion. Slightly different than the rest of the session but a welcome way to close. All the members of Anti-House play together in various forms. And each record is different thanks to the leaders. But with Anti-House they seems to be able to make expressions and experiment in ways that their other group done allow. Weird, but with creativity like this, it's should be expected. Strong Place is a solid second effect from a blossoming super-ensemble.